For the album by Devin Townsend, see Physicist (album). Not to be confused with physician, a person who practices medicine. Albert Einstein, a key theoretical physicist in the 20th century who developed the theory of relativity and parts of early quantum theory. A physicist is a scientist who specializes in the field of physics, which encompasses the interactions of matter and energy at all length and time scales in the physical universe. Physicists generally are interested in the root or ultimate causes of phenomena, and usually frame their understanding in mathematical terms. Physicists work across a wide range of research fields, spanning all length scales: from sub-atomic and particle physics, through biological physics, to cosmological length scales encompassing the universe as a whole. 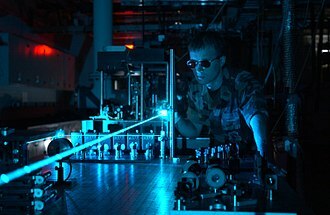 The field generally includes two types of physicists: experimental physicists who specialize in the observation of physical phenomena and the analysis of experiments, and theoretical physicists who specialize in mathematical modeling of physical systems to rationalize, explain and predict natural phenomena. Physicists can apply their knowledge towards solving practical problems or to developing new technologies (also known as applied physics or engineering physics). In an 18th-century experiment in "natural philosophy" (later to be called "physics") English scientist Francis Hauksbee works with an early electrostatic generator. The study and practice of physics is based on an intellectual ladder of discoveries and insights from ancient times to the present. 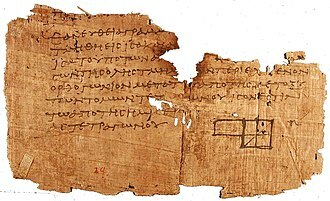 Many mathematical and physical ideas used today found their earliest expression in ancient Greek culture, for example in the work of Euclid, Thales of Miletus, Archimedes and Aristarchus. Roots also emerged in ancient Asian culture and in the Islamic medieval period, for example the work of Alhazen in the 11th century. 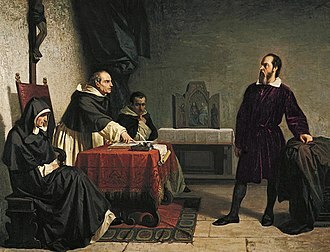 The modern scientific worldview and the bulk of physics education can be said to flow from the scientific revolution in Europe, starting with the work of Galileo Galilei and Johannes Kepler in the early 1600s. 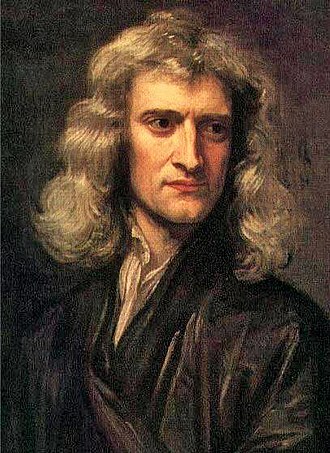 Newton's laws of motion and Newton's law of universal gravitation were formulated in the 17th century. The experimental discoveries of Faraday and the theory of Maxwell's equations of electromagnetism were developmental high points during the 19th century. 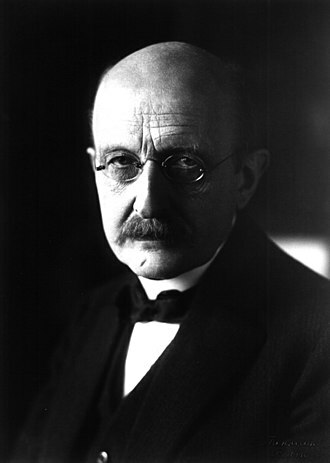 Many physicists contributed to the development of quantum mechanics in the early-to-mid 20th century. New knowledge in the early 21st century includes a large increase in understanding physical cosmology. The broad and general study of nature, natural philosophy, was divided into several fields in the 19th century, when the concept of "science" received its modern shape. Specific categories emerged, such as "biology" and "biologist", "physics" and "physicist", "chemistry" and "chemist", among other technical fields and titles. The term physicist was coined by William Whewell (also the originator of the term "scientist") in his 1840 book The Philosophy of the Inductive Sciences. A standard undergraduate physics curriculum consists of classical mechanics, electricity and magnetism, non-relativistic quantum mechanics, optics, statistical mechanics and thermodynamics, and laboratory experience. Physics students also need training in mathematics (calculus, differential equations, linear algebra, complex analysis, etc. ), and in computer science. Any physics-oriented career position requires at least an undergraduate degree in physics or applied physics, while career options widen with a Master's degree like MSc, MPhil, MPhys or MSci. For research-oriented careers, students work toward a doctoral degree specializing in a particular field. Fields of specialization include experimental and theoretical astrophysics, atomic physics, biological physics, chemical physics, condensed matter physics, cosmology, geophysics, gravitational physics, material science, medical physics, microelectronics, molecular physics, nuclear physics, optics, radiophysics, electromagnetic field and microwave physics, particle physics, and plasma physics. The highest honor awarded to physicists is the Nobel Prize in Physics, awarded since 1901 by the Royal Swedish Academy of Sciences. National physics professional societies have many prizes and awards for professional recognition. In the case of the American Physical Society, as of 2017, there are 33 separate prizes and 38 separate awards in the field. The three major employers of career physicists are academic institutions, laboratories, and private industries, with the largest employer being the last. Physicists in academia or government labs tend to have titles such as Assistants, Professors, Sr./Jr. Scientist, or postdocs. 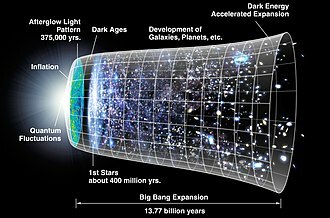 As per the American Institute of Physics, some 20% of new physics Ph.D.s holds jobs in engineering development programs, while 14% turn to computer software and about 11% are in business/education. A majority of physicists employed apply their skills and training to interdisciplinary sectors (e.g. finance). Job titles for graduate physicists include Agricultural Scientist, Air Traffic Controller, Biophysicist, Computer Programmer, Electrical Engineer, Environmental Analyst, Geophysicist, Medical Physicist, Meteorologist, Oceanographer, Physics Teacher/Professor/Researcher, Research Scientist, Reactor Physicist, Engineering Physicist, Satellite Missions Analyst, Science Writer, Stratigrapher, Software Engineer, Systems Engineer, Microelectronics Engineer, Radar Developer, Technical Consultant, etc. A majority of Physics terminal bachelor's degree holders are employed in the private sector. Other fields are academia, government and military service, nonprofit entities, labs and teaching. 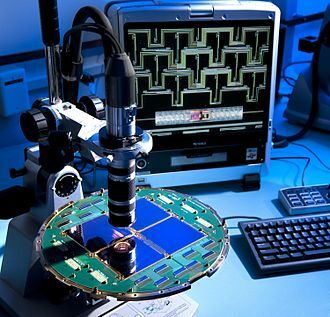 Typical duties of physicists with master's and doctoral degrees working in their domain involve research, observation and analysis, data preparation, instrumentation, design and development of industrial or medical equipment, computing and software development, etc. Chartered Physicist (CPhys) is a chartered status and a professional qualification awarded by the Institute of Physics. It is denoted by the postnominals "CPhys". Achieving chartered status in any profession denotes to the wider community a high level of specialised subject knowledge and professional competence. According to the Institute of Physics, holders of the award of the Chartered Physicist (CPhys) demonstrate the "highest standards of professionalism, up-to-date expertise, quality and safety" along with "the capacity to undertake independent practice and exercise leadership" as well as "commitment to keep pace with advancing knowledge and with the increasing expectations and requirements for which any profession must take responsibility". Chartered Physicist is considered to be equal in status to Chartered Engineer, which the IoP also awards as a member of the Engineering Council UK, and other chartered statuses in the UK. It is also considered a "regulated profession" under the European professional qualification directives. The Canadian Association of Physicists can appoint an official designation called the P. Phys. which stands for Professional Physicist, similar to the designation of P. Eng. which stands for Professional Engineer. This designation was unveiled at the CAP congress in 1999 and already more than 200 people carry this distinction. To get the certification, at minimum proof of honours bachelor or higher degree in physics or a closely related discipline must be provided. Also, the physicist must have completed, or be about to complete, three years of recent physics-related work experience after graduation. And, unless exempted, a professional practice examination must also be passed. Exemption can be granted to candidate that have practiced physics for at least seven years and provide a detailed description of their professional accomplishments which clearly demonstrate that the exam is not necessary. Work experience will be considered physics-related if it uses physics directly or significantly utilizes the modes of thought (such as the approach to problem-solving) developed in your education and/or experience as a physicist, in all cases regardless of whether the experience is in academia, industry, government, or elsewhere. Management of physics related work qualifies, and so does appropriate graduate student work. The South African Institute of Physics delivers a certification of Professional Physicists (Pr.Phys). 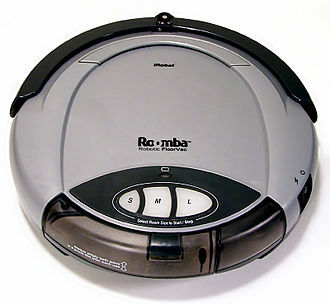 At a minimum, the owner must possess a 3-year bachelors or equivalent degree in physics or a related field and an additional minimum of six years' experience in a physics-related activity; or an Honor or equivalent degree in physics or a related field and an additional minimum of five years' experience in a physics-related activity; or master or equivalent degree in physics or a related field and an additional minimum of three years' experience in a physics-related activity; a Doctorate or equivalent degree in Physics or a related field; or training or experience which, in the opinion of the Council, is equivalent to any of the above. ^ a b Rosen, Joe (2009). Encyclopedia of Physics. Infobase Publishing. 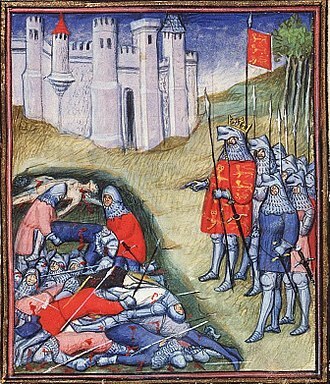 p. 247. ^ "Physicist". Merriam-Webster Dictionary. "a scientist who studies or is a specialist in physics"
^ "Industrial Physicists: Primarily specializing in Physics" (PDF). American Institute for Physics. October 2016. ^ "Industrial Physicists: Primarily specializing in Engineering" (PDF). American Institute for Physics. October 2016. ^ "Industrial Physicists: Primarily specializing outside of STEM sectors" (PDF). American Institute for Physics. October 2016. ^ Cahan, David, ed. (2003). 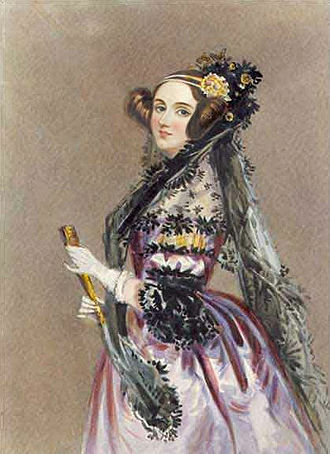 From Natural Philosophy to the Sciences: Writing the History of Nineteenth-Century Science. Chicago: University of Chicago Press. ISBN 0226089282. ^ Wachter, Armin; Hoeber, Henning (2006). Compendium of Theoretical Physics. New York, NY: Springer. ISBN 0-387-25799-3. ^ Krey, Uwe; Owen, Anthony (2007). Basic Theoretical Physics : A concise overview (1st ed.). Berlin: Springer. ISBN 978-3-540-36804-5. ^ Kompaneyets, A. S. (2012). Theoretical physics (2nd ed.). Mineola, New York: Dover. ISBN 0486609723. ^ "Physicist". nationalcareersservice.direct.gov.uk. National Careers Service, United Kingdom. 7 October 2016. 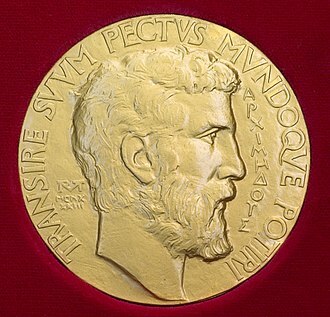 ^ "The Nobel Prize in Physics". Nobelprize.org. ^ AIP Statistical Research Center. "Industrially Employed Physicists: Primarily in Non-STEM Fields" (PDF). Retrieved August 21, 2006. ^ "Physicists and the Financial Markets". Financial Times. 18 October 2013. ^ American Institute for Physics (AIP) Statistical Research Center Report Physics Doctorates Initial Employment published March 2016. ^ "What can I do with a degree in Physics?" (PDF). Augusta University. 2016. Retrieved September 11, 2016. ^ "Physicist Career Opportunities". Illinois Institute of Technology. 2016. Retrieved November 10, 2016. ^ "Physics Education, Applied to Engineering". National Academy of Engineering (NAE). 2016. Retrieved November 10, 2016. ^ "Engineering Physicist careers". Simon Fraser University, Canada. 2016. Retrieved February 27, 2017. ^ "Initial Employment Sectors of Physics Bachelor's, Classes of 2011 & 2012 Combined". American Institute of Physics. Retrieved September 13, 2016. ^ "2111 Physicists and astronomers". National Occupational Classification - Canada. 2016. Retrieved November 11, 2016. Whitten, Barbara L.; Foster, Suzanne R.; Duncombe, Margaret L. (2003). "What works for women in physics?". Physics Today. 56 (9): 46. Bibcode:2003PhT....56i..46W. doi:10.1063/1.1620834. Archived from the original on 2013-02-23. Kirby, Kate; Czujko, Roman; Mulvey, Patrick (2001). "The Physics Job Market: From Bear to Bull in a Decade". Physics Today. 54 (4): 36. Bibcode:2001PhT....54d..36K. doi:10.1063/1.1372112. Archived from the original on 2012-07-16. Hermanowicz, Joseph C. (1998). The Stars Are Not Enough: Scientists--Their Passions and Professions. University of Chicago Press. ISBN 978-0-226-32767-9. Hermanowicz, Joseph C. (2009). Lives in Science: How Institutions Affect Academic Careers. University of Chicago Press. ISBN 978-0-226-32761-7. Look up physicist in Wiktionary, the free dictionary. Condensed matter physics is a branch of physics that deals with the physical properties of condensed phases of matter, where particles adhere to each other. Condensed matter physicists seek to understand the behavior of these phases by using physical laws, in particular, they include the laws of quantum mechanics and statistical mechanics. The field overlaps with chemistry, materials science, and nanotechnology, the theoretical physics of condensed matter shares important concepts and methods with that of particle physics and nuclear physics. A variety of topics in physics such as crystallography, elasticity, etc. 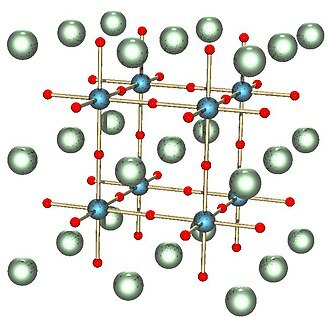 were treated as distinct areas until the 1940s, when they were grouped together as solid state physics. Around the 1960s, the study of properties of liquids was added to this list, forming the basis for the new. The Bell Telephone Laboratories was one of the first institutes to conduct a program in condensed matter physics. References to condensed state can be traced to earlier sources, as a matter of fact, it would be more correct to unify them under the title of condensed bodies. One of the first studies of condensed states of matter was by English chemist Humphry Davy, Davy observed that of the forty chemical elements known at the time, twenty-six had metallic properties such as lustre and high electrical and thermal conductivity. This indicated that the atoms in John Daltons atomic theory were not indivisible as Dalton claimed, Davy further claimed that elements that were believed to be gases, such as nitrogen and hydrogen could be liquefied under the right conditions and would behave as metals. 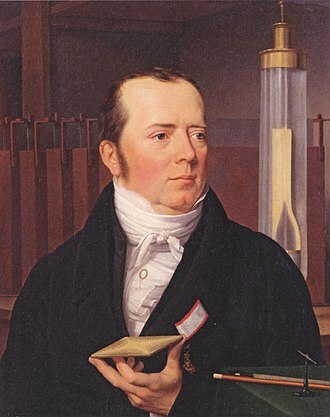 In 1823, Michael Faraday, an assistant in Davys lab, successfully liquefied chlorine and went on to all known gaseous elements, except for nitrogen, hydrogen. By 1908, James Dewar and Heike Kamerlingh Onnes were successfully able to hydrogen and newly discovered helium. Paul Drude in 1900 proposed the first theoretical model for an electron moving through a metallic solid. Drudes model described properties of metals in terms of a gas of free electrons, the phenomenon completely surprised the best theoretical physicists of the time, and it remained unexplained for several decades. A scientist is a person engaging in a systematic activity to acquire knowledge that describes and predicts the natural world. In a more restricted sense, a scientist may refer to an individual who uses the scientific method, the person may be an expert in one or more areas of science. The term scientist was coined by the theologian and historian of science William Whewell and this article focuses on the more restricted use of the word. Scientists perform research toward a comprehensive understanding of nature, including physical and social realms. Philosophers aim to provide an understanding of fundamental aspects of reality and experience, often pursuing inquiries with conceptual, rather than empirical. When science is done with a goal toward practical utility, it is called applied science, an applied scientist may not be designing something in particular, but rather is conducting research with the aim of developing new technologies and practical methods. When science seeks to answer questions about aspects of reality it is sometimes called natural philosophy. Science and technology have continually modified human existence through the engineering process, as a profession the scientist of today is widely recognized. Jurisprudence and mathematics are often grouped with the sciences, some of the greatest physicists have been creative mathematicians and lawyers. There is a continuum from the most theoretical to the most empirical scientists with no distinct boundaries, in terms of personality, interests and professional activity, there is little difference between applied mathematicians and theoretical physicists. Scientists can be motivated in several ways, many have a desire to understand why the world is as we see it and how it came to be. They exhibit a strong curiosity about reality, other motivations are recognition by their peers and prestige, or the desire to apply scientific knowledge for the benefit of peoples health, the nations, the world, nature or industries. Scientists tend to be motivated by direct financial reward for their work than other careers. Nuclear physics is the field of physics that studies atomic nuclei and their constituents and interactions. Other forms of matter are studied. Nuclear physics should not be confused with atomic physics, which studies the atom as a whole, discoveries in nuclear physics have led to applications in many fields. Such applications are studied in the field of nuclear engineering, Particle physics evolved out of nuclear physics and the two fields are typically taught in close association. 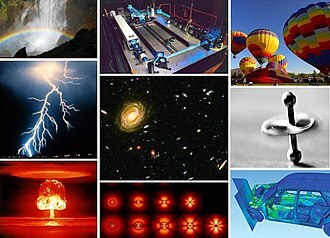 Nuclear astrophysics, the application of physics to astrophysics, is crucial in explaining the inner workings of stars. The discovery of the electron by J. J. Thomson a year was an indication that the atom had internal structure, in the years that followed, radioactivity was extensively investigated, notably by Marie and Pierre Curie as well as by Ernest Rutherford and his collaborators. By the turn of the physicists had discovered three types of radiation emanating from atoms, which they named alpha and gamma radiation. Experiments by Otto Hahn in 1911 and by James Chadwick in 1914 discovered that the beta decay spectrum was continuous rather than discrete. That is, electrons were ejected from the atom with a range of energies, rather than the discrete amounts of energy that were observed in gamma. This was a problem for physics at the time, because it seemed to indicate that energy was not conserved in these decays. The 1903 Nobel Prize in Physics was awarded jointly to Becquerel for his discovery and to Marie, Rutherford was awarded the Nobel Prize in Chemistry in 1908 for his investigations into the disintegration of the elements and the chemistry of radioactive substances. In 1905 Albert Einstein formulated the idea of mass–energy equivalence, in 1906 Ernest Rutherford published Retardation of the α Particle from Radium in passing through matter. Hans Geiger expanded on this work in a communication to the Royal Society with experiments he and Rutherford had done, passing alpha particles through air, aluminum foil and gold leaf. Physics is the natural science that involves the study of matter and its motion and behavior through space and time, along with related concepts such as energy and force. One of the most fundamental disciplines, the main goal of physics is to understand how the universe behaves. Physics is one of the oldest academic disciplines, perhaps the oldest through its inclusion of astronomy, Physics intersects with many interdisciplinary areas of research, such as biophysics and quantum chemistry, and the boundaries of physics are not rigidly defined. New ideas in physics often explain the mechanisms of other sciences while opening new avenues of research in areas such as mathematics. Physics makes significant contributions through advances in new technologies that arise from theoretical breakthroughs, the United Nations named 2005 the World Year of Physics. Astronomy is the oldest of the natural sciences, the stars and planets were often a target of worship, believed to represent their gods. While the explanations for these phenomena were often unscientific and lacking in evidence, according to Asger Aaboe, the origins of Western astronomy can be found in Mesopotamia, and all Western efforts in the exact sciences are descended from late Babylonian astronomy. The most notable innovations were in the field of optics and vision, which came from the works of many scientists like Ibn Sahl, Al-Kindi, Ibn al-Haytham, Al-Farisi and Avicenna. The most notable work was The Book of Optics, written by Ibn Al-Haitham, in which he was not only the first to disprove the ancient Greek idea about vision, but came up with a new theory. In the book, he was the first to study the phenomenon of the pinhole camera, many European scholars and fellow polymaths, from Robert Grosseteste and Leonardo da Vinci to René Descartes, Johannes Kepler and Isaac Newton, were in his debt. Indeed, the influence of Ibn al-Haythams Optics ranks alongside that of Newtons work of the same title, the translation of The Book of Optics had a huge impact on Europe. 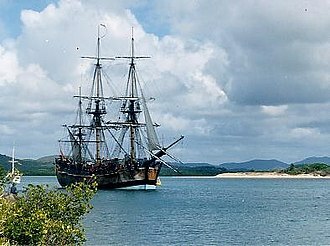 From it, European scholars were able to build the devices as what Ibn al-Haytham did. From this, such important things as eyeglasses, magnifying glasses, Physics became a separate science when early modern Europeans used experimental and quantitative methods to discover what are now considered to be the laws of physics. 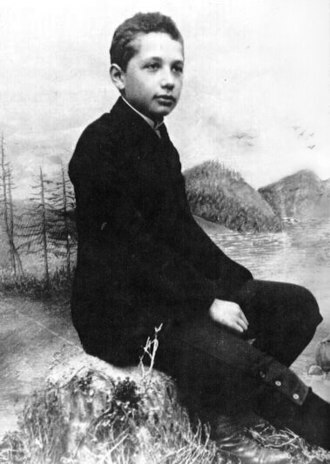 Albert Einstein was a German-born theoretical physicist. 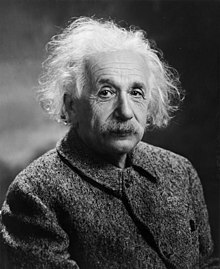 He developed the theory of relativity, one of the two pillars of modern physics, Einsteins work is known for its influence on the philosophy of science. Einstein is best known in popular culture for his mass–energy equivalence formula E = mc2, near the beginning of his career, Einstein thought that Newtonian mechanics was no longer enough to reconcile the laws of classical mechanics with the laws of the electromagnetic field. This led him to develop his theory of relativity during his time at the Swiss Patent Office in Bern. 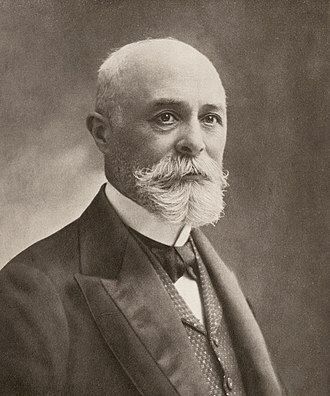 Briefly before, he aquired the Swiss citizenship in 1901, which he kept for his whole life and he continued to deal with problems of statistical mechanics and quantum theory, which led to his explanations of particle theory and the motion of molecules. 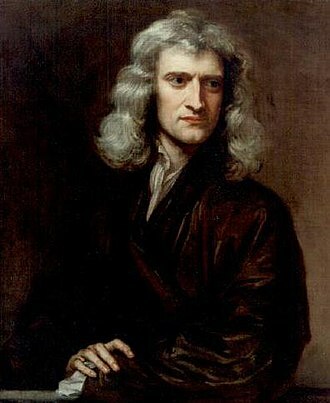 He investigated the properties of light which laid the foundation of the photon theory of light. In 1917, Einstein applied the theory of relativity to model the large-scale structure of the universe. He was visiting the United States when Adolf Hitler came to power in 1933 and, being Jewish, did not go back to Germany and he settled in the United States, becoming an American citizen in 1940. This eventually led to what would become the Manhattan Project, Einstein supported defending the Allied forces, but generally denounced the idea of using the newly discovered nuclear fission as a weapon. Later, with the British philosopher Bertrand Russell, Einstein signed the Russell–Einstein Manifesto, Einstein was affiliated with the Institute for Advanced Study in Princeton, New Jersey, until his death in 1955. Einstein published more than 300 scientific papers along with over 150 non-scientific works, on 5 December 2014, universities and archives announced the release of Einsteins papers, comprising more than 30,000 unique documents. 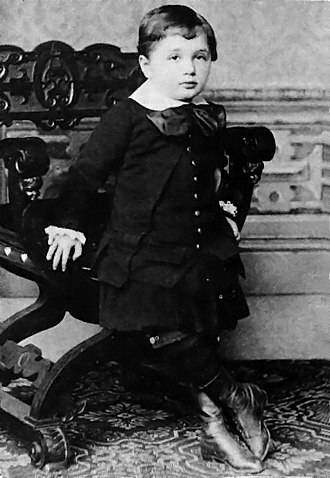 Einsteins intellectual achievements and originality have made the word Einstein synonymous with genius, Albert Einstein was born in Ulm, in the Kingdom of Württemberg in the German Empire, on 14 March 1879. A phenomenon is any thing which manifests itself. Phenomena are often, but not always, understood as things that appear or experiences for a sentient being, the term came into its modern philosophical usage through Immanuel Kant, who contrasted it with the noumenon. 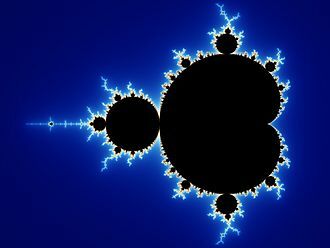 In contrast to a phenomenon, a noumenon can not be directly observed, Kant was heavily influenced by Gottfried Wilhelm Leibniz in this part of his philosophy, in which phenomenon and noumenon serve as interrelated technical terms. In modern philosophical use, the phenomena has come to mean what is experienced is the basis of reality. 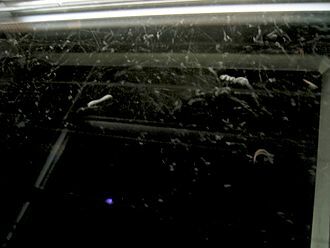 He wrote that humans could infer only as much as their senses allowed, the term phenomenon refers to any incident deserving of inquiry and investigation, especially events that are particularly unusual or of distinctive importance. According to The Columbia Encyclopedia, Modern philosophers have used phenomenon to designate what is apprehended before judgment is applied and this may not be possible if observation is theory laden. In scientific usage, a phenomenon is any event that is observable, however common it might be, even if it requires the use of instrumentation to observe, another example of scientific phenomena can be found in the experience of phantom limb sensations. This occurrence, the sensation of feeling in amputated limbs, is reported by over 70% of amputees, although the limb is no longer present, they report still experiencing sensations. This is an event that defies typical logic and has been a source of much curiosity within the medical and physiological fields. A mechanical phenomenon is a phenomenon associated with the equilibrium or motion of objects. Some examples are Newtons cradle and double pendulums, in gemology, a phenomenon is an unusual optical effect that is displayed by a gem. Play-of-color, iridescence, chatoyancy, aventurescence, group phenomena concern the behavior of a particular group of individual entities, usually organisms and most especially people. The behavior of individuals often changes in a setting in various ways. Physics is the fundamental branch of science that developed out of the study of nature and philosophy known, until around the end of the 19th century, as natural philosophy. 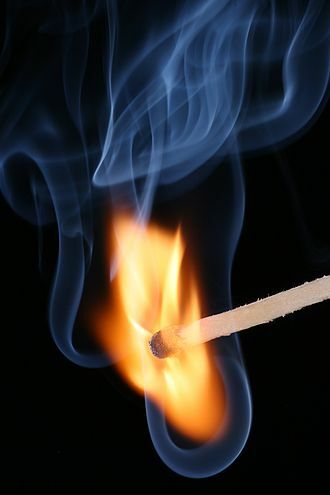 Today, physics is defined as the study of matter, energy. The other sciences are more limited in their scope and may be considered branches that have split off from physics to become sciences in their own right. Physics today may be divided loosely into classical physics and modern physics, elements of what became physics were drawn primarily from the fields of astronomy and mechanics, which were methodologically united through the study of geometry. These mathematical disciplines began in antiquity with the Babylonians and with Hellenistic writers such as Archimedes, Ancient philosophy, meanwhile – including what was called physics – focused on explaining nature through ideas such as Aristotles four types of cause. The move towards an understanding of nature began at least since the Archaic period in Greece with the Pre-Socratic philosophers. 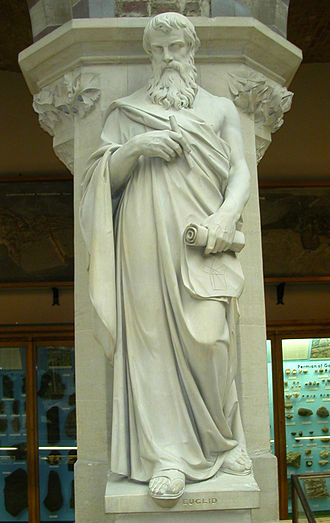 Anaximander, famous for his theory, disputed the Thales ideas and proposed that rather than water. Around 500 BCE, Heraclitus proposed that the basic law governing the Universe was the principle of change. This observation made him one of the first scholars in ancient physics to address the role of time in the universe, the early physicist Leucippus adamantly opposed the idea of direct divine intervention in the universe, proposing instead that natural phenomena had a natural cause. 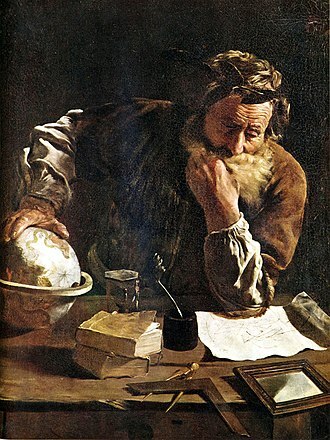 Leucippus and his student Democritus were the first to develop the theory of atomism, during the classical period in Greece and in Hellenistic times, natural philosophy slowly developed into an exciting and contentious field of study. 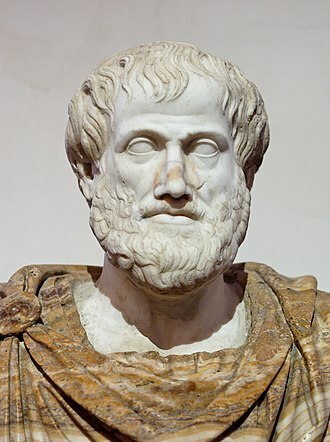 Aristotle, a student of Plato, promoted the concept that observation of physical phenomena could ultimately lead to the discovery of the laws governing them. Aristotles writings cover physics, poetry, music, rhetoric, politics, ethics and zoology. He wrote the first work which refers to line of study as Physics – in the 4th century BCE. Maxwells equations are a set of partial differential equations that, together with the Lorentz force law, form the foundation of classical electromagnetism, classical optics, and electric circuits. They underpin all electric and radio such as power generation, electric motors, wireless communication, televisions. Maxwells equations describe how electric and magnetic fields are generated by charges, one important consequence of the equations is the demonstration of how fluctuating electric and magnetic fields can propagate at the speed of light. This electromagnetic radiation manifests itself in ways from radio waves to light. The equations have two major variants, the microscopic Maxwell equations have universal applicability but are unwieldy for common calculations. 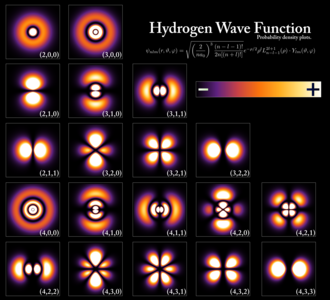 They relate the electric and magnetic fields to total charge and total current, including the complicated charges, the macroscopic Maxwell equations define two new auxiliary fields that describe the large-scale behaviour of matter without having to consider atomic scale details. 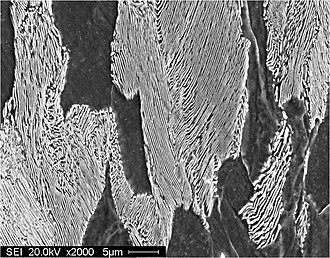 However, their use requires experimentally determining parameters for a description of the electromagnetic response of materials. The term Maxwells equations is used for equivalent alternative formulations. 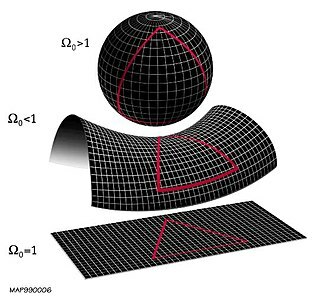 The space-time formulations, are used in high energy and gravitational physics because they make the compatibility of the equations with special and general relativity manifest. 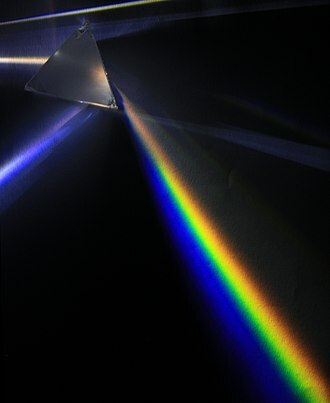 In many situations, deviations from Maxwells equations are immeasurably small, exceptions include nonclassical light, photon-photon scattering, quantum optics, and many other phenomena related to photons or virtual photons. In the electric and magnetic field there are four equations. The two inhomogeneous equations describe how the fields vary in space due to sources, Gausss law describes how electric fields emanate from electric charges. Gausss law for magnetism describes magnetic fields as closed field lines not due to magnetic monopoles, the two homogeneous equations describe how the fields circulate around their respective sources. William Whewell FRS FGS was an English polymath, Anglican priest, philosopher and historian of science. He was Master of Trinity College, Cambridge, in his time as a student there, he achieved distinction in both poetry and mathematics. What is most often remarked about Whewell is the breadth of his endeavours, in a time of increasing specialisation, Whewell appears as a vestige of an earlier era when natural philosophers dabbled in a bit of everything. In mathematics, Whewell introduced what is now called the Whewell equation, one of Whewells greatest gifts to science was his wordsmithing. 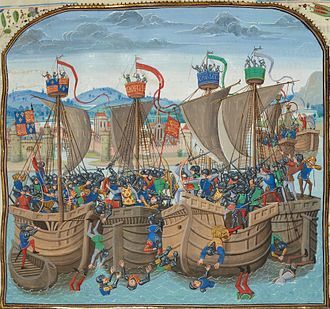 He often corresponded with many in his field and helped come up with new terms for their discoveries. Whewell died in Cambridge in 1866 as a result of a fall from his horse and his father, a carpenter, wished him to follow his trade, but his success in mathematics at Lancaster and Heversham grammar schools won him an exhibition at Trinity College, Cambridge. In 1814 he was awarded the Chancellors Gold Medal for poetry and he was Second Wrangler in 1816, President of the Cambridge Union Society in 1817, became fellow and tutor of his college, and, in 1841, succeeded Dr Christopher Wordsworth as master. He was professor of mineralogy from 1828 to 1832 and Knightbridge Professor of Philosophy from 1838 to 1855, Whewell died in Cambridge in 1866 as a result of a fall from his horse. He is buried in the Mill Road cemetery, together with his first and second wives, Cordelia Whewell and Everina Frances, in the Philosophy, Whewell attempted to follow Francis Bacons plan for discovery of an effectual art of discovery. He examined ideas and by the colligation of facts endeavoured to unite these ideas with the facts, but no art of discovery, such as Bacon anticipated, for invention, genius are needed at each step. In Philosophy of the Inductive Sciences Whewell was the first to use the term consilience to discuss the unification of knowledge between the different branches of learning, here, as in his ethical doctrine, Whewell was moved by opposition to contemporary English empiricism. As stated, one of Whewells greatest gifts to science was his wordsmithing and he often corresponded with many in his field and helped them come up with new terms for their discoveries. Whewell was prominent not only in research and philosophy, but in university. His first work, An Elementary Treatise on Mechanics, cooperated with those of George Peacock and his work and publications helped influence the recognition of the moral and natural sciences as an integral part of the Cambridge curriculum. He opposed the appointment of the University Commission, and wrote two pamphlets against the reform of the university and he stood against the scheme of entrusting elections to the members of the senate and instead, advocated the use of college funds and the subvention of scientific and professorial work. The Whewell Professorship of International Law and the Whewell Scholarships were established through the provisions of his will, aside from Science, Whewell was interested in the history of architecture throughout his life. He is best known for his writings on Gothic architecture, specifically his book, in this work, Whewell established a strict nomenclature for German Gothic churches and came up with a theory of stylistic development. Although geophysics was only recognized as a separate discipline in the 19th century, its origins date back to ancient times. The first magnetic compasses were made from lodestones, while more modern magnetic compasses played an important role in the history of navigation, the first seismic instrument was built in 132 BC. Geophysics is applied to societal needs, such as resources, mitigation of natural hazards. Geophysics is a highly interdisciplinary subject, and geophysicists contribute to area of the Earth sciences. To provide an idea of what constitutes geophysics, this section describes phenomena that are studied in physics and how they relate to the Earth. The gravitational pull of the Moon and Sun give rise to two high tides and two low tides every lunar day, or every 24 hours and 50 minutes, there is a gap of 12 hours and 25 minutes between every high tide and between every low tide. Gravitational forces make rocks press down on rocks, increasing their density as the depth increases. Measurements of gravitational acceleration and gravitational potential at the Earths surface, the surface gravitational field provides information on the dynamics of tectonic plates. 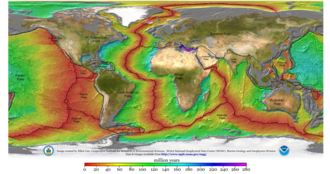 The geopotential surface called the geoid is one definition of the shape of the Earth, the geoid would be the global mean sea level if the oceans were in equilibrium and could be extended through the continents. 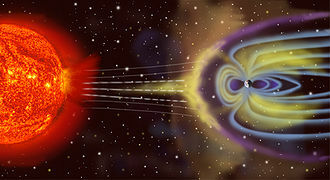 The Earth is cooling, and the heat flow generates the Earths magnetic field through the geodynamo. The main sources of heat are the heat and radioactivity. 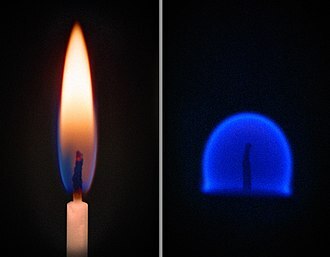 Some heat is carried up from the bottom of the mantle by mantle plumes, the heat flow at the Earths surface is about 4.2 ×1013 W, and it is a potential source of geothermal energy. Seismic waves are vibrations that travel through the Earths interior or along its surface, the entire Earth can oscillate in forms that are called normal modes or free oscillations of the Earth. Ground motions from waves or normal modes are measured using seismographs, if the waves come from a localized source such as an earthquake or explosion, measurements at more than one location can be used to locate the source. Johannes Kepler was a German mathematician and astrologer. A key figure in the 17th-century scientific revolution, he is best known for his laws of motion, based on his works Astronomia nova, Harmonices Mundi. These works provided one of the foundations for Isaac Newtons theory of universal gravitation, Kepler was a mathematics teacher at a seminary school in Graz, where he became an associate of Prince Hans Ulrich von Eggenberg. Later he became an assistant to the astronomer Tycho Brahe in Prague and he was a mathematics teacher in Linz, and an adviser to General Wallenstein. 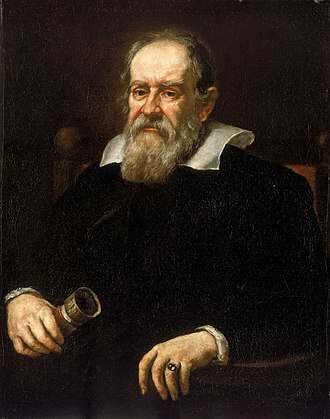 Kepler lived in an era when there was no distinction between astronomy and astrology, but there was a strong division between astronomy and physics. 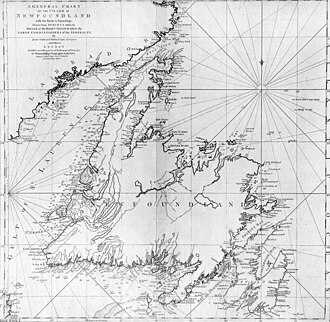 Kepler was born on December 27, the feast day of St John the Evangelist,1571 and his grandfather, Sebald Kepler, had been Lord Mayor of the city. By the time Johannes was born, he had two brothers and one sister and the Kepler family fortune was in decline and his father, Heinrich Kepler, earned a precarious living as a mercenary, and he left the family when Johannes was five years old. He was believed to have died in the Eighty Years War in the Netherlands and his mother Katharina Guldenmann, an innkeepers daughter, was a healer and herbalist. Born prematurely, Johannes claimed to have weak and sickly as a child. Nevertheless, he often impressed travelers at his grandfathers inn with his phenomenal mathematical faculty and he was introduced to astronomy at an early age, and developed a love for it that would span his entire life. At age six, he observed the Great Comet of 1577, in 1580, at age nine, he observed another astronomical event, a lunar eclipse, recording that he remembered being called outdoors to see it and that the moon appeared quite red. However, childhood smallpox left him with vision and crippled hands. In 1589, after moving through grammar school, Latin school, there, he studied philosophy under Vitus Müller and theology under Jacob Heerbrand, who taught Michael Maestlin while he was a student, until he became Chancellor at Tübingen in 1590. He proved himself to be a mathematician and earned a reputation as a skilful astrologer. 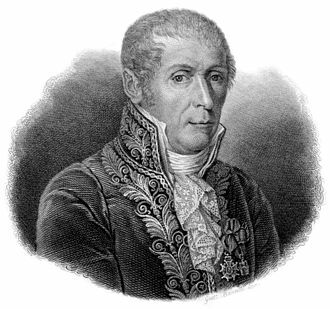 Alessandro Volta, the inventor of the electrical battery and discoverer of methane, is widely regarded as one of the greatest scientists in history. 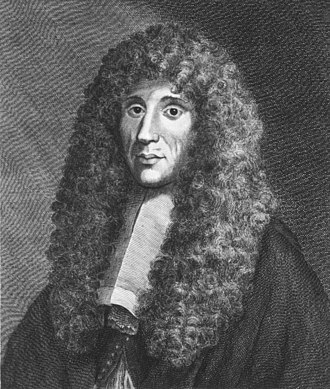 Francesco Redi, referred to as the "father of modern parasitology", is the founder of experimental biology. Physicist Albert Einstein developed the general theory of relativity and made many substantial contributions to physics. 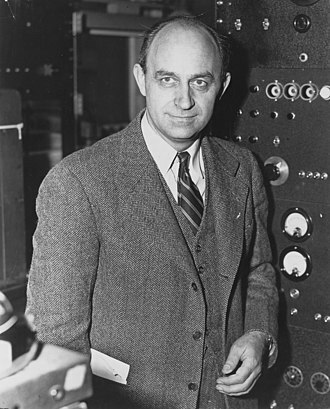 Physicist Enrico Fermi is credited with the creation of the world's first atomic bomb and nuclear reactor. In this diagram, time passes from left to right, so at any given time, the Universe is represented by a disk-shaped "slice" of the diagram. The formation of clusters and large-scale filaments in the cold dark matter model with dark energy. The frames show the evolution of structures in a 43 million parsecs (or 140 million light-years) box from redshift of 30 to the present epoch (upper left z=30 to lower right z=0). 3rd century BCE calculations by Aristarchus on the relative sizes of, from left to right, the Sun, Earth, and Moon, from a 10th-century AD Greek copy. 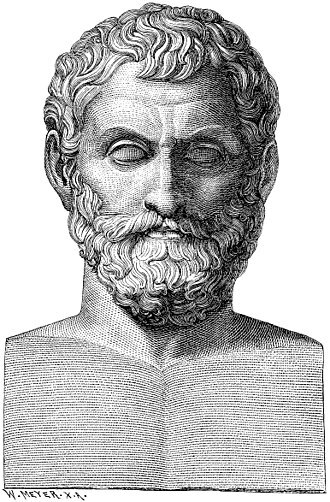 The ancient Greek mathematician Archimedes, famous for his ideas regarding fluid mechanics and buoyancy. The Hindu-Arabic numeral system. 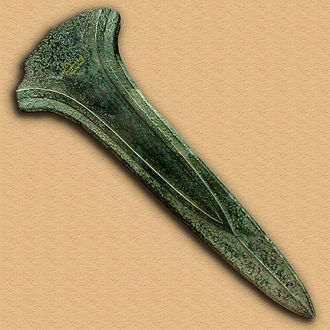 The inscriptions on the edicts of Ashoka (3rd century BCE) display this number system being used by the Imperial Mauryas. A page from al-Khwārizmī's Algebra. An olive mill and an olive press dating from Roman times in Capernaum, Israel. Reproduction of a page of Ibn Sahl's manuscript showing his knowledge of the law of refraction. 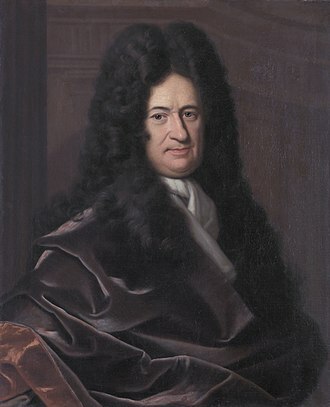 Gottfried Wilhelm Leibniz was the first to state clearly the rules of calculus. The logarithmic spiral of the Nautilus shell is a classical image used to depict the growth and change related to calculus. 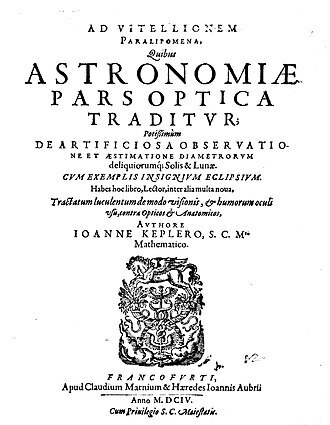 Front page of the Opticae Thesaurus, which included the first printed Latin translation of Alhazen's Book of Optics. The illustration incorporates many examples of optical phenomena including perspective effects, the rainbow, mirrors, and refraction. Illustration of the deformations of a block by body waves and surface waves (see seismic wave). Replica of Zhang Heng's seismoscope, possibly the first contribution to seismology. Age of the sea floor. Much of the dating information comes from magnetic anomalies. Computer simulation of nanogears made of fullerene molecules. It is hoped that advances in nanoscience will lead to machines working on the molecular scale. The Hubble eXtreme Deep Field (XDF) was completed in September 2012 and shows the farthest galaxies ever photographed. Except for the few stars in the foreground (which are bright and easily recognizable because only they have diffraction spikes), every speck of light in the photo is an individual galaxy, some of them as old as 13.2 billion years; the observable universe is estimated to contain more than 2 trillion galaxies. 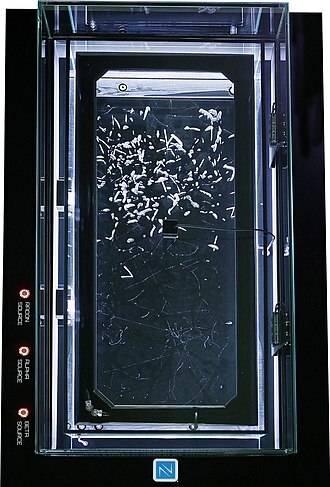 Since 1920s cloud chambers played an important role of particle detectors and eventually lead to the discovery of positron, muon and kaon.